Why do Roof Repair with Hialeah Roof Repair? We are a family owned roofing service with deep roots in Hialeah. When it comes to knowing South Florida roofing and how to maintain it, Hialeah Roof Repair compares to no other. We set ourself apart as the premier source for Reliable, Affordable customer care based Residential Roofing Services as well as Commercial Roofing Services. When you call us for your Free Roof Inspection we send our technicians to your home right away. Our Roofers are skilled tradesman who excel in providing the best possible outcomes for our clients. They listen to your concerns and also provide you with reliable and trustworthy industry standard information and options for the best result for your home. Our goal is to provide you roofing service that help you to keep your Home a Safe Haven and to Protect your Investment for many years to come. A Roof Cleaning and Maintenance plan such as this is the miracle that will make your roof last 10 additional years. Regular cleaning & maintenance of your roof provides a hands on and "eyes on" approach to assuring you that your roof is intact and secure. We check to see that it is free of rot, not leaking and that there are no broken tiles, or torn shingles. It absolutely extends the life of your roof and can extend the replacement time for years. Our knowledgeable Roofers can identify any defect and make the necessary repair to ensure your roofing's function and structure are maintained. Our Maintenance plans offer comprehensive testing and inspection by our industry educated Roofing staff. All of this is provided with the safety and wellness of our customer in mind. ​Hialeah Roof Repair also offers Roof Restoration. This is a process where we come out and inspect your " build-up " roof and provide you with a report of any leaks, defects or rotting areas, but we then provide you with a comprehensive, in depth look at why this deterioration has happened and how a Roof Restoration may ​​inhibit or stop that deterioration from happening any further. Roofs generally weaken over time, Some lose waterproofing integrity. This process adds to the "build", maintaining and sometimes extending the strength and longevity of the "core" of your roofing system. This prolongs the overall life of your roof and the need for eventual roof replacement. 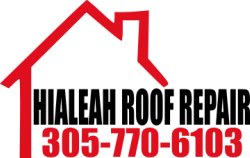 Best Roofing Contractor in Hialeah, Florida! Sometimes the best Roofing Service can simply be a Roof Tile Replacement. ​It's not always just about Replacing the entire roof. ​When maintenance is performed properly and monitored correctly a Roof Tile Replacement is just the thing to restore the integrity of your roofing system. Don't be afraid to call a roofer to replace your roof tiles. Hialeah Roof Repair works with integrity and we respect your time and budget. You can trust us to be fair and perform only the work we are contracted to do. No Surprises. No job is too small, no job is too big as long as our customers are happy with our results. Our company thrives on it's customer relationships. That's what makes us top in our industry. Roof Repairs are inevitable. If you have a roof they cannot be avoided forever. Even with the best maintenance plan there are going to be repairs. A good Roofing Contractor like Hialeah Roof Repair will help to minimize this from happening and take the sting out of the cost to repair. We understand these issues and inform you (if you have a maintenance plan) well in advance that the repair is a possibility. We love to work with our customers to keep them abreast of possible occurrences due to the inevitable life process of the roof and protecting their investments. Waterproofing, can all be taken care of by Hialeah Roof Repair. We specialize in accommodating the customer's needs in these areas. We are steadfast in our hiring process and we only hire the best. We continually educate our staff in the latest techniques and products this industry can provide. Hialeah Roof Repair is a solid, wont run after the storm is over, kind of firm. (We've all heard those stories) Our company is licensed and insured in the state of Florida and have been for many years. We follow up with our Customers and make sure we have given them the best possible outcome for their lifelong investment. Have a look at our Reviews. Hialeah Roof Repair takes care of roofing projects no matter the size. Big or Small we take care of it all. Whether a Small Commercial Building or a Large Shopping Mall we apply the same processes and structure to maintain each and every step of our Quality Craftsmanship. Commercial Roofers lend their expertise to their process. We know how to complete projects on deadline as promised without disturbing your revenue source. We realize how inconvenient roof repair can be, so we hone in on the best plan for reducing the interruptive nature of the process and increase customer satisfaction with our thorough standard of hard work and communication. 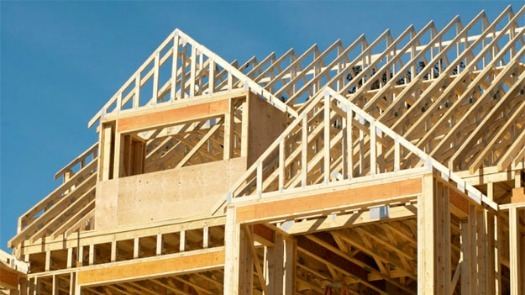 Hialeah Roof Repair loves to work with General Contractors for New Home Projects. We can provide the Industry know how of Roofing Systems that a General Contractor may not deal with everyday. While a General Contractor can lay a Solid foundation, a Roofing Contractor can provide the knowledge and know how of the intricacies of Roofing Systems. Partnerships in this area are our strong suit. We are an integral part of the New Construction Roofing arena in Hialeah and all of South Florida. So why should you choose Hialeah Roof Repair? We treat your house like a Home. Just as if it were our own. You're our Neighbor. We have been a part of this community for Decades and we know how hard you work and how expensive a Roof Replacement can be, We know the investment you made in your home and we want to make sure you get a return on your investment with our services. You might also want to consult with our staff regarding Green Energy Efficient roofing choices. Hialeah Roof Repair offers Clay Tile Roofs. This is truly a "green" choice that can have multiple benefits beyond curb appeal. We wouldn't want you to come home to a house that looks like someone's been Tailgating at a Miami Dolphins game. We take care of your property as the investment we know it is. 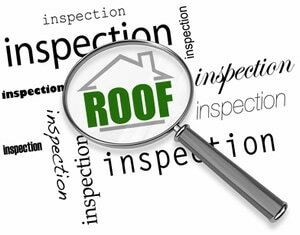 ​From Roof Inspection to Completion of a Roof Repair our diligent communication and reliability will provide you with everything you expect in Roof Repair and Replacement Services. ​Call us for a Free Inspection today! Mention this website and we may throw in a little something extra!